Founded by David Linde and James Schamus in 2002, Focus Features is the art house branch of NBC Universal and a subsidiary company of Universal Pictures. The company is as a product of the divisional merger between USA Films and Good Machine. The company has produced cult classics like Wet Hot American Summer (2001) and Academy Award-winning films like Brokeback Mountain (2005), which grossed $83 million domestically . “Brokeback Mountain” is one of Focus Features’ most critically acclaimed films, winning Best Director, Best Adapted Screenplay and Best Original Score at the 2006 Academy Awards. Focus Features produces independent films with a niche target audience, tackling genres that big-budget blockbusters may not produce, putting emphasis on dramatic cinematography and character insight over a commercially-driven plot lines. Examples of successful movies with niche markets produced by Focus Features are Sophia Coppola‘s Lost in Translation (2003) and Wes Anderson‘s Moonrise Kingdom (2012). The company also handles film production, film financing and worldwide distribution, which means they are vertically integrated to produce a film from start to finish; pre-production all the way through to distribution, domestically and internationally. On October 2013, James Schamus stepped down from the position of CEO upon the merger between FilmDistrict and placed Peter Schlessel, the founder of FilmDistrict, to be the chief executive of Focus Features in January 2014 . Focus Features ranks 12th in overall film distributor companies, owning 1.1% of the total market share as of November 23, 2014. The company’s total gross is $104.5 million with 11 movies released in 2014 so far . Focus Features had improved in market share from the previous year, ranking 13th with 1.1% market share and grossing $101 million with its 6 films that were released in 2013 . There is a 15% increase in gross revenue, 2014 being comparatively more successful than 2013  despite the critical success that came with Dallas Buyers Club during the 2014 Academy Award. “The Boxtrolls” is the product of collaboration between Portland-based animation studio, LAIKA, and Focus Features. The fantasy stop-motion animation was released on September 26, 2014 grossed $49.6 million domestically and $56.2 million internationally. During its opening weekend, The Boxtrolls ranked 3rd, opening in 3,464 theaters and averaging $4,987 per theater, which became 34.9% of the total gross. Looking at the somewhat successful feedback of the partnership between LAIKA and Focus Features in producing and distributing The Boxtrolls, generating $49.6 million dollars domestically, the domestic revenue did not break-even with the high cost of producing animation, which was $60 million budget for production. Fortunately, the animation grossed over $56 million overseas, which in turn becomes over half of the lifetime gross of the film, bringing the total worldwide gross to $107.8 million, holding the film above water and breaking even with the $60 million production budget . Produced by LAIKA, a Portland-based animation studio that has previously produced Oscar-nominated Coraline (2009) and ParaNorman (2012), both of which was distributed by Focus Features, the company signed an extension to their partnership, adding three more films to be made. Once again Focus Features will be distributing domestic releases, while international distribution will be under Universal Pictures International . A thriller directed by Homeland director Michael Cuesta was released on October 10, 2014 and received positive reviews on Rotten Tomatoes, with a 77% rating from 97 reviews . It grossed $2.4 million domestically  and was ranked 15th at the box office during the opening weekend, debuting with Buena Vista‘s Alexander and the Terrible, Horrible, No Good, Very Bad Day, which ranked 2nd. 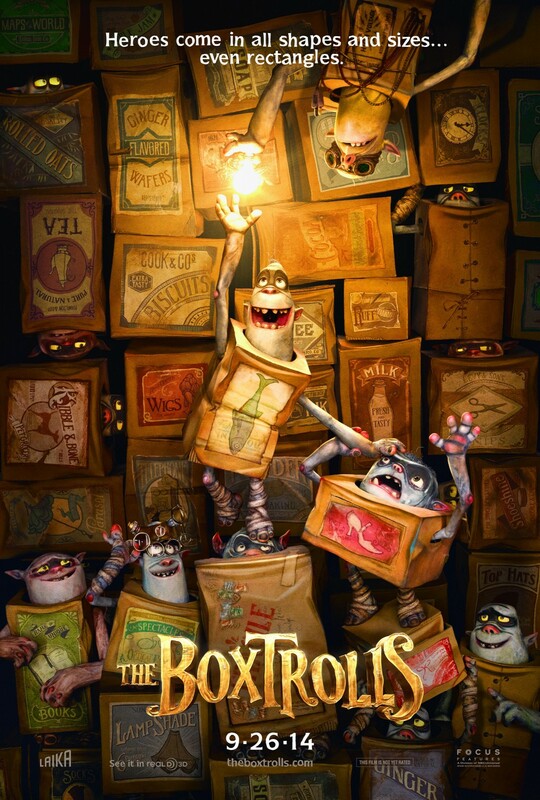 The Boxtrolls, distributed by Focus Features, ranked 9th on the film’s debuting weekend . Though Kill The Messenger wasn’t a total flop for Focus Features but the movie flew under the radar, despite its lukewarm reviews. This might be because it debuted with bigger blockbuster movies on the same weekend as mentioned previously. A suspense thriller starring Academy Award nominee, Jude Law, will be released in January 2015. Directed by Kevin MacDonald, Black Sea follows a cryptic submarine captain and his band of misfit crew in search of a hidden treasure. The critically acclaimed director has been known for his award-winning works such as The Last King of Scotland. The film is scheduled to release in Europe and the United Kingdoms in December 2014 . 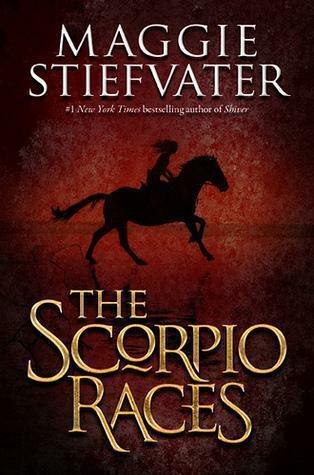 Focus Feature picked up the development of the adaptation of best-selling young adult novel “The Scorpio Races” after a turnaround with Warner Bros.
Focus Features has signed to develop adaptation of the popular young adult series The Scorpio Races written by Maggie Stiefvater. After falling through with Warner Bros., the adaptation was then taken to Focus Features to develop. The screenplay will be adapted by Jack Thorne, produced by KatzSmith Productions and Jay Ireland is placed to be the Executive Producer . This is a promising project for Focus Features, since the company’s adaptation productions has always been a success, such as Brokeback Mountain and Dallas Buyers Club. With The Theory of Everything receiving a robust amount of Oscar buzz, Focus Feature is looking at a great Award Season in the upcoming year. 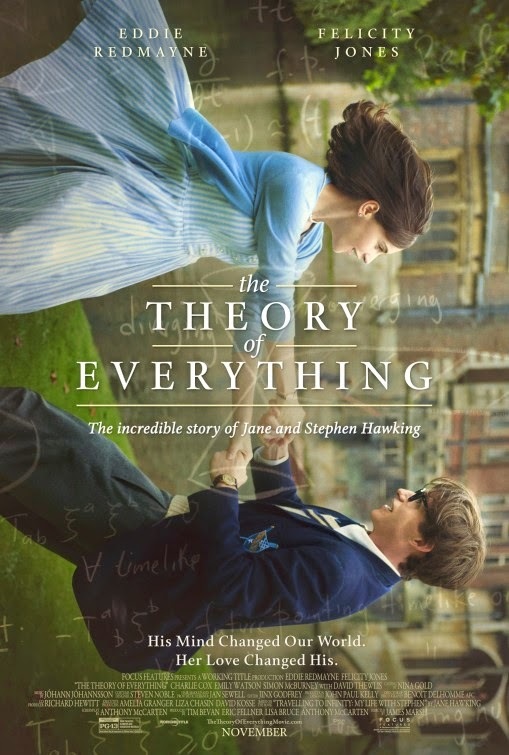 The film is one of the frontrunner for Best Picture award and Best Actor by Redmayne‘s stellar performance in portraying the disease-ridden Stephen Hawking. The upcoming year is projected to be another improvement from the last, which peaked with Dallas Buyers Club‘s performance at the 2014 Academy Award. The extended partnership with LAIKA animation for another three movies is promising, judging by their previous successful collaborations with Coraline and ParaNorman. Next year will be another relatively successful year for Focus Features since the highly anticipated adaptation of “Fifty Shades of Grey” will be released on Valentine’s Day 2015. For more information about the Key Executives, click here . CBS Films is not a publicly traded company; therefore, there is no financial information available. However, according to Box Office Mojo, one can understand that CBS Films has the potential to be competitive among the major film companies in the future if it continues its current pattern. The studio got off to a rough start with its first project, “Extraordinary Measures.” The film had a production budget of $31 million dollars, and unfortunately led the company to a major loss since the film’s worldwide total gross was only $15,134,293. Fortunately, the studio’s second film “The Back Up Plan,” was a huge success, and produced a worldwide total gross of $77,477,007. With a $35 million dollar production budget, “The Back Up Plan,” was not only able to recoup the film’s production budget, but also was able to recoup “Extraordinary Measures” major loss all while still making the company roughly $26 million in profit. CBS Film’s “Afflicted,” which was released on April 4, 2014, is currently playing in limited theaters and is available on demand at iTunes, Amazon, VUDU, Google Play, Time Warner, and XBOX in addition to other Video On Demand services. As of April 11, 2014, “Afflicted” is being shown in 34 theaters, which is down ten theaters from its original release date. According to Box Office Mojo, as of April 13, 2014, the film has earned a domestic total of $121,179. The Canadian Film Lottery and the hundred thousand dollars Co-Directors Derek Lee and Cliff Prowse devoted their time to raising funded “Afflicted.” To save on production costs further, the Co-Directors starred as themselves in the movie out of necessity, and they complied their friends, families, and relatives to be the actors as a pay-free route to ensure their budget was kept low. Remarkably, Derek and Cliff have been friends since they were 15 and pimpled-faced. They started this found-footage horror film project in 2011 after working on 4 shorts together. The idea for the film was the result of what they thought would best display their skillsets. Originally, they envisioned creating an action film; however, they lacked the funding to do so with quality. As a plan B, the duo created what evolved into the vampire point of view documentary in theaters today. With only four filmmakers and a small crew of ten, scenes were shot guerilla style in Paris, Italy, and Spain using a Cannon 5D Mark II and a Go Pro. The Director of Photography was equipped with only a single lighting pack due to budget; therefore, natural lighting was forcibly essential. Budget, however, did allow for Visual Effects Company Imagine Engine to be brought on as a producer to ensure the scenes requiring special effects were brought to life. These scenes demanded an abundance of patience and luck to achieve a realistic effect since the scenes lacked certain resources that typically would have been needed.